It’s hard to recall a Vermont band that has spawned so much admiration for having done so relatively little as Burlington’s Alpenglow. 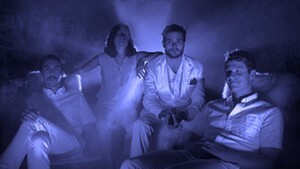 Since the then-Middlebury-based quintet’s unofficial coming-out party at the 2012 Waking Windows festival in Winooski, it’s been almost universally regarded as a most promising new band — with barely a demo tape to its credit. As such, expectations are abnormally — and perhaps unfairly — high for the band’s freshman effort. So it is that Alpenglow’s EP, Solitude, finally arrives, preloaded with hype and hopes that hardly any band could live up to, especially on a debut. But here’s the crazy thing: Alpenglow do. Solitude is not just a remarkable debut; it’s a remarkable record, period. At a mere four songs and 21 minutes, one could wish for a bit more, especially given the aforementioned expectations. I’d suggest those who feel cheated simply put the disc on repeat. Densely layered and nuanced, with an array of delicate changes and accents, Solitude is a rare record that genuinely deepens with each listen. The title track opens the EP with a bright, arpeggiated electric guitar line. It’s almost clumsily picked, but those uneven rhythmic fluctuations tease a bristling energy that explodes in a wash of violin, guitar, drums and voices at the hook. That polyphony recedes to a beautiful, harmony-laden bridge before blooming again at the finish. 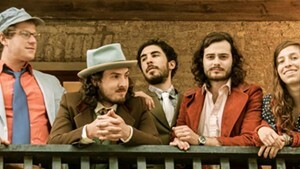 Alpenglow are commonly — and with reasonable accuracy — compared to the likes of the Low Anthem and Fleet Foxes. Solitude will not dispel those comparisons. In particular, “Catskills” and its lonely falsetto vocals eerily evoke the Low Anthem’s Ben Knox Miller and his stirring performance on “Charlie Darwin,” from that band’s 2008 debut, Oh My God, Charlie Darwin. It’s hero worship. But it’s the best kind: mimicry that lovingly honors its source material while forwarding an original artistic idea. “Autumn Drone (Part II)” is a tender elegy to fading friendships, probably potent subject matter to a group freshly out of college. Following that, “Fields” closes the EP on a melancholy note. It’s a wandering, piano-based composition that simmers with tension before a sturdy backbeat succumbs to spastic fiddle runs and ghostly, tumbling vocals. This is the recording’s most daring arrangement, and it offers a tantalizing hint as to what Alpenglow may have in store on future releases. 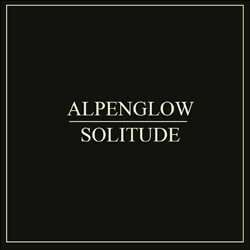 Solitude by Alpenglow is available at alpenglowmusic.bandcamp.com.